Curiously, this upscaled 900p image is a bigger drawback to Xbox One's visuals than we'd expect, though there is an effective solution. Navigating the ruined subway carriages for example, metal rails show stair-step artefacts on the vertical axis (though curiously not horizontal) at its default settings. But enabling the temporal AA mode in the console settings menu completely solves this - an option that also boosts PS4's image clarity. Frame-rates aren't affected by the switch, and the only snag is a faintly visible ghost image that trails behind moving objects. Xbox One still lacks the absolute clarity of a 1080p image with this engaged, but it falls much closer to PS4, and it's worth using on all formats. 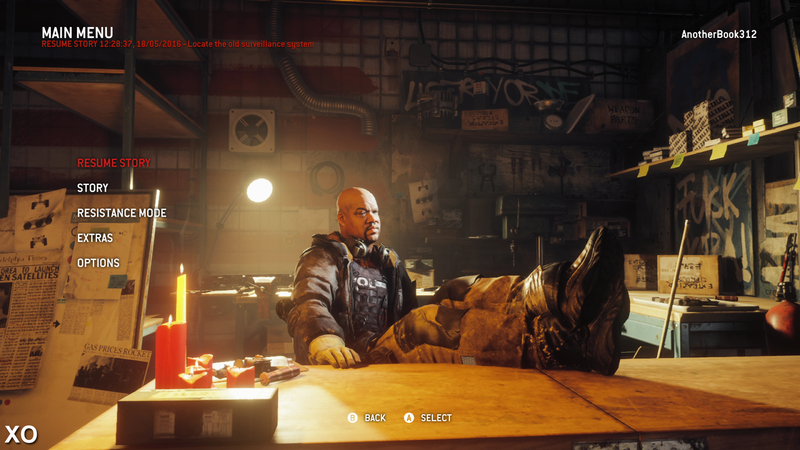 Homefront: The Revolution running at max settings on PC, as compared to PS4. Shadow and reflection quality are the main dividing points - but the console release holds up well in the visual stakes. PS4 and Xbox One are otherwise equals in the rendering techniques used across the game, but PC reserves a few neat extras. Field of view (FOV) is set to 50, much like PC at its default, and lens flares are enabled too. However, motion blur is switched off on console, where PC offers several quality presets - plus a higher grade pass of SMAA 2TX to back its resolution output. There's even a built-in super-sampling option on PC, allowing the engine to render at higher resolutions and downscale back to 1080p for a more pristine image. At very high settings, PC offers some other surprising additions. Shadows at this top preset produce clearer outlines, and it also enables dynamic self-shadows that go missing on PS4 and Xbox One. The console versions are inconsistent at their 'high' setting in this sense, and while walking in front of spotlights still produces large character shadows, in other cases they're absent. 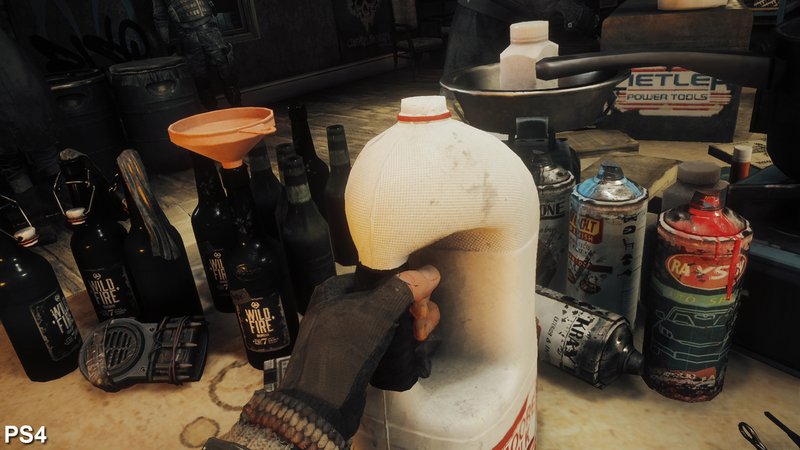 A separate 'shading' setting is also much improved on PC when maxed out, removing the striped, banding effect seen on the console form of ambient occlusion. Otherwise, both consoles are light on compromise in their visual quality. PC only boasts slightly longer draw distances by comparison, but the game still holds up extremely well in the visual stakes on PS4 and Xbox One. 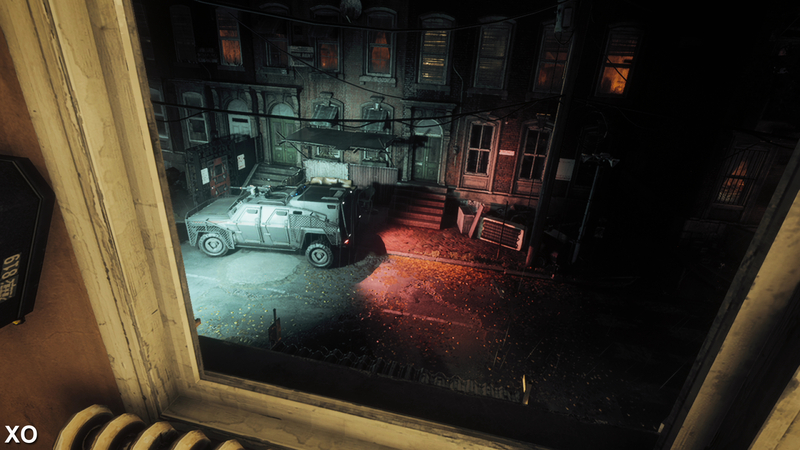 The only other notable drawback is in reflections, where Philadelphia's neon lights are fully mirrored on PC at night, whereas consoles only factor in lights from geometry and street lamps. The density and richness of the city's busier 'green zones' translates to all formats, but for PC these extras sweeten the deal. Image quality goes in PS4's favour, with a native 1920x1080 resolution backed by a lower-grade form of SMAA compared to PC. 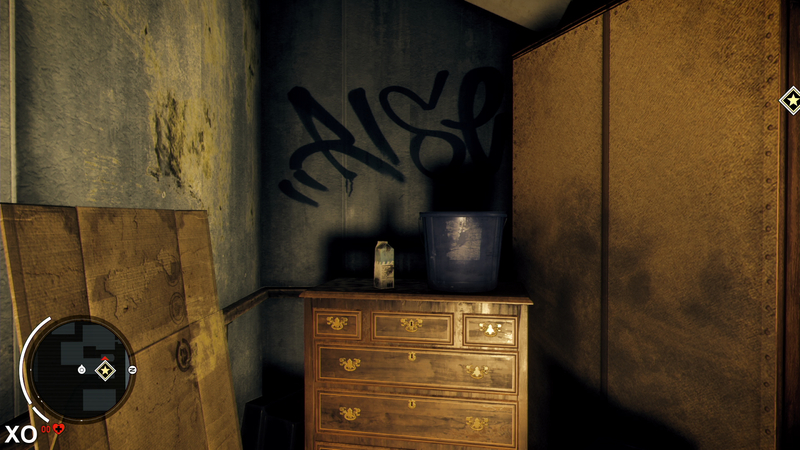 A 1600x900 resolution is used on Xbox one meanwhile, though it's adeptly upscaled in this case by Cryengine. Reflections are a big dividing point for the three three platforms. 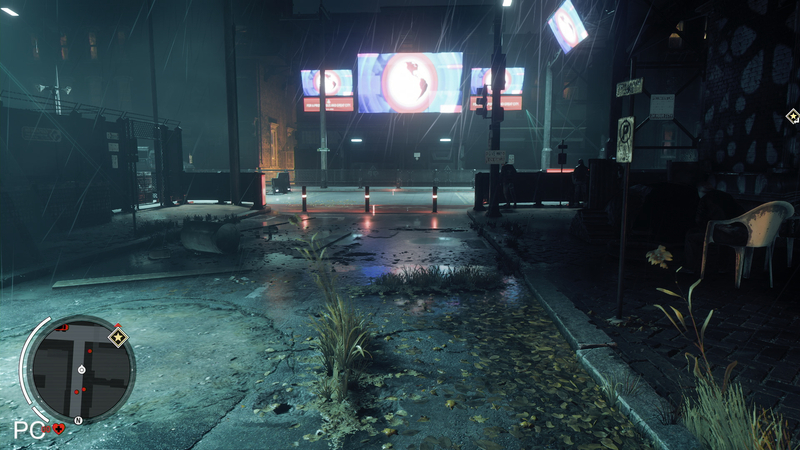 At very high settings, PC reflects all neon signs above in the street puddles - an effect missing on PS4 and Xbox One. 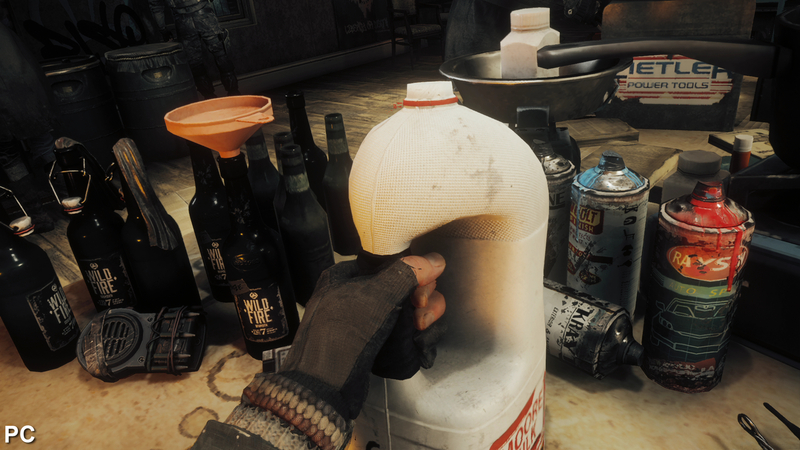 Check out the difference in ambient occlusion quality visible around this grasped jerry can. PS4 and Xbox One each use the high setting, causing a similar banding effect when viewed up close. On PC's best setting this is replaced with a smoother gradient of shade. Post-process quality is dialled back on Xbox One. PS4 matches PC with a high quality depth of field pass - noticed in the background of this shot - that's missing for Microsoft's machine. Core shadow quality and draw distance is the same between PS4 and Xbox One (matching PC's high preset). However, its very high preset sharpens silhouette edges, and gives each shadow a bolder appearance. 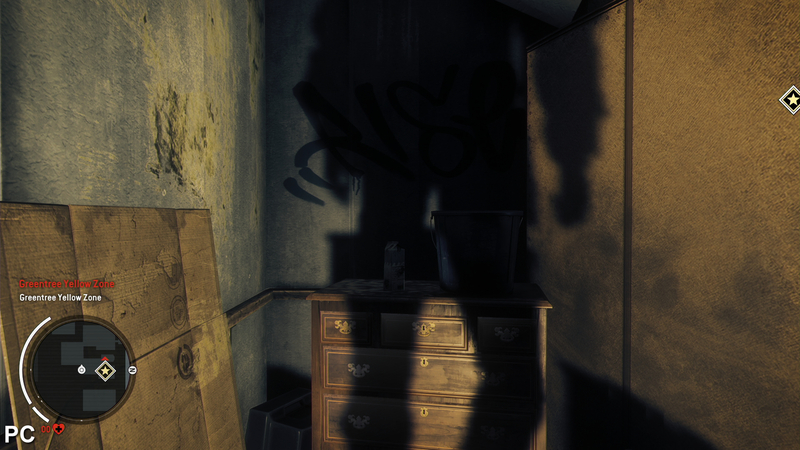 Added to that, PC's very high setting enables dynamic self-shadows in more areas across the game. Console versions have this same feature, but not globally - and it's notably missing here. Texture quality is matched on all platforms. The very high quality setting used on PC also translates to console - and likewise for the taxing parallax occlusion mapping (POM) effect, allowing bricks here to jut out of the ground. Note the gate sign to the left on PC, missing on PS4 and Xbox One. Object detail is broader on PC's top settings, though pop-in is rare to catch on console. 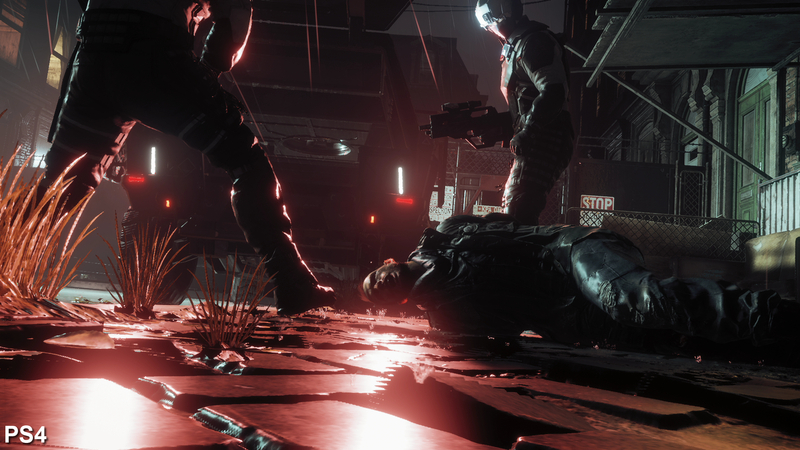 From a purely visual standpoint, it's one of the better-looking Cryengine titles seen on PS4, Xbox One and PC - a merit it deserves despite the poor frame-rates on console. It builds on the foundations set by Ryse with new atmospheric effects, adding a full time-of-day system, dynamic weather, and bringing back the wind simulation (in this case allowing power lines to sway over city streets). Dambuster Studios makes unique use of shaders for reflections too, which sees puddles form and evaporate over time, plus a volumetric fog effect that sweeps over the city - adding depth to the air. These dynamics help settle the game as an open-world shooter, as opposed to a more dictated, linear experience. But as we've covered in our performance analysis this comes at a dear cost to frame-rate metrics on PS4 and Xbox One. We've ventured eight hours into the campaign on Sony's machine, and find frame-rates frequently struggling to hold 30fps. 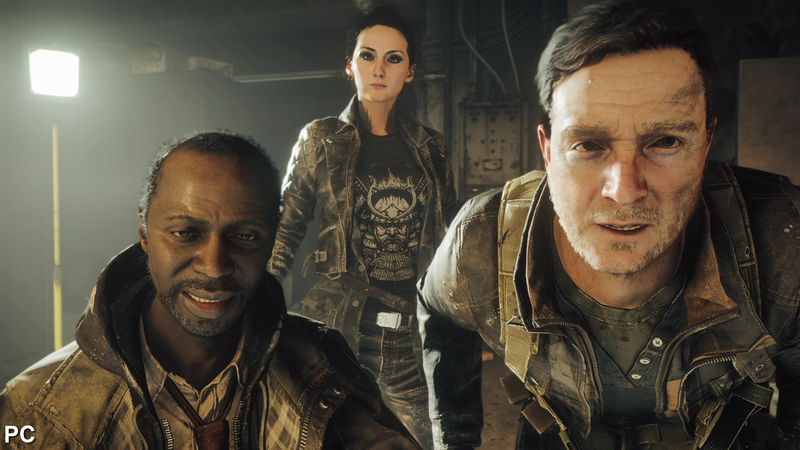 Open wastelands and indoor areas fare best - wavering between 27 and 31fps - but the main city hubs and battles have performance sticking much closer to the 20-25fps region. Considering the state of most current-gen titles, Xbox One is in the unusual position here of pushing out higher frame-rates than PS4. In matching tests, PS4 falls behind by a 2-3fps margin, with tearing also added to the top of the screen. By comparison, Xbox One runs fully v-synced, and while it's a smoother experience in action, it's still not hitting the targets it needs to. In any shootouts against AI, neither version makes for a fun experience running like this; aiming is just too heavily affected by a sluggish visual response. It's a real shame. Console performance is a real disappointment. Neither PS4 or Xbox One can sustain 30fps in most areas - too frequently drifting to the lower 20s - making the game unnecessarily difficult to play. Xbox One has an advantage, with a slightly higher refresh, and none of the tearing seen on PS4. PC offers a viable alternative, but there are caveats here too. We've played much of the game at around 60fps on both the GTX 970 and R9 390, but sadly the optimisation effort isn't entirely perfect. At high settings, very high textures, and 1080p, the game dips to 50fps and under during battles; to all intents and purposes, we can't achieve PS4-grade settings at a firm 60fps with either card. Slotted into an i7-4790K PC clocked to 4.4GHz, plus 16GB of RAM, these cards still produce far more enjoyable results than either console version. In direct comparison, the R9 390 has an edge; cut-scenes run at a 3-7fps advantage on AMD's card - a consistent lead that initially holds above 60fps. However, the tides turn drastically during shootouts, where the GTX 970 pushes ahead by up to 9fps once alpha effects kick in. Both cards have a performance lead depending on the scene, in other words, but neither is up to muster for high settings, 1080p, and locking down 60fps at these moments. To achieve 60fps with no dips whatsoever on the GTX 970 or R9 390, the extent of visual cuts needed is surprising. Even putting all settings at low produces performance that glances 58fps at peak load, though these moments are outliers to an overall readout of 60-80fps. Sadly, this low setting involves a sharp drop in effects quality, killing off shadows entirely, and dialling back post-processing by a visible degree. It's not the ideal way to play, leaving us in a tricky no-man's land between sub-60fps performance at high settings, or sub-console visuals. The GTX 970 goes against the R9 390, showing a mixture of results on each. Nvidia's card falls behind in matching tests, but produces visibly superior performance for shootouts. Locking down a perfect 60fps on either is a real challenge, even on medium settings. It's also worth noting we had unusual frame-rate hitches with everything set to very high. Even on the Titan X, the game can suddenly tumble to the 0-20fps range, completely out of the blue while in an abandoned room, despite running at 30-45fps outdoors. It's very much unplayable at this setting, though switching everything back to high immediately clears this stuttering up. This affects all cards we've tried on the very latest drivers as of publishing, and it's another sign of the engine's lacking optimisation on PC. Essentially, the Cryengine tech at this game's heart has always relied deeply on CPU power - and it's here rather than on the 750 Ti card that we're recording a bottleneck. In a bid for a perfectly locked 30fps, even dropping all settings to low, and the resolution to 900p doesn't give us a locked 30. Even in the best-case scenario, outdoors battles still cause our i3-4130 to hit 100% load on its logical cores, and we get sub-30fps dips. It goes some way to qualify the situation on PS4 and Xbox One, where playback is typically in the 20-30fps range. Even if, in theory, both consoles ran at the lowest visual settings we see on PC, this budget PC testing shows the low core clocks on their Jaguar CPUs might still hit a performance ceiling around lots of enemy AI. This isn't a GPU issue, in other words, and it makes sense that we're seeing most presets set to high like this on PS4. Dropping these settings doesn't necessarily address the real point of pressure on either console - and indeed on our budget PC here. Budget PC testing on our i3 4130 processor and GTX 750 Ti. The Cryengine chews through CPU resources, and it's here our setup comes undone with sub-30fps results at 1080p and high settings - matching PS4. Despite its visual high points, the technology behind Dambuster Studios' first-person shooter is a blessing and a curse to the project as a whole. Put to work in a fully open-world title like Homefront: The Revolution, Cryengine is capable of producing striking visuals, especially around busier city sections with its clever new weather effects in play. 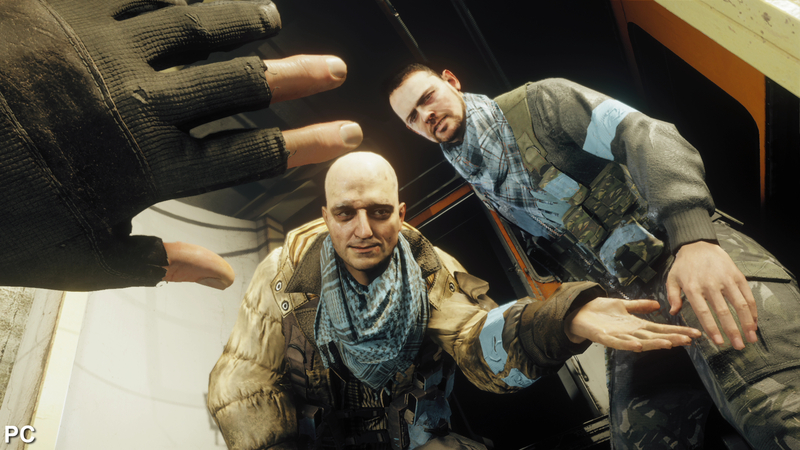 However, it's hard to ignore the game's big shortfall in performance - a point that weighs heavily on its overall playability, where PS4 and Xbox One fall short of the desired 30fps target. The impression is that the engine isn't an ideal fit for current-gen hardware, especially when put to work on a free-roaming design. More linear Cryengine titles like Ryse on Xbox One show the tech being used to hold 30fps for longer stretches, and we wonder how the team's original vision might have fared. For PC users, the chance to play at 60fps is a major game-changer compared to console - more so than the visual upgrades. The drawback is that neither the GTX 970 or R9 390 can produce a perfect 60fps lock at even medium settings, though the resulting experience is still far more enjoyable than on console. 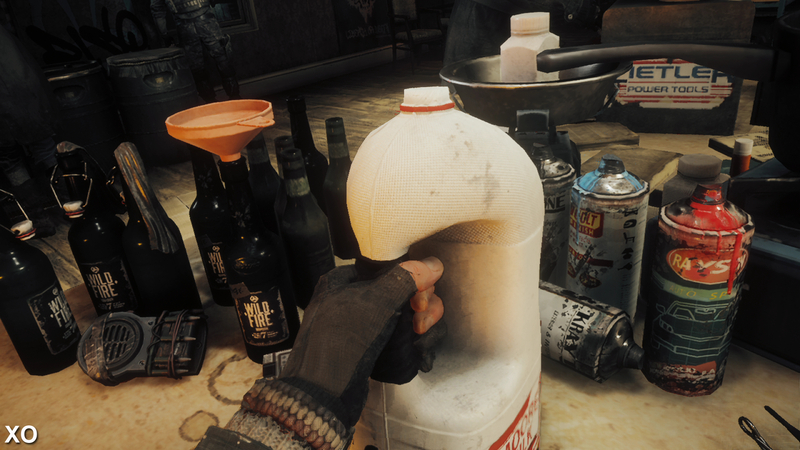 While it's easy to dismiss Homefront: The Revolution out-of-hand based on its shaky performance, the frustration is that it betrays the flashes of quality on show. It's a game that sets a high bar for itself, at times matching the visual quality of Crysis 3, while ambitiously working to an open-world structure. Handed another franchise, and with the hindsight of a troubled first foray on PS4 and Xbox One, we hope this team's next project scales more adeptly across all formats.